Market is in full swing today! Yesterday it was fun watching all the excitement on Instagram and Facebook. Seeing the booth set up pictures helped keep my sad feelings in check, I don't miss that at all. Seeing all the happy people showing off their hard work, yes, I do miss that. The enthusiasm and excitement of the show is pretty invigorating. Today I want to show off the hard work of some of my friends. 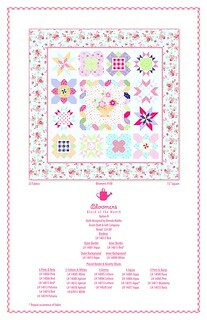 Brenda Riddle designed Bloomers for the Pam Kitty Garden collection! 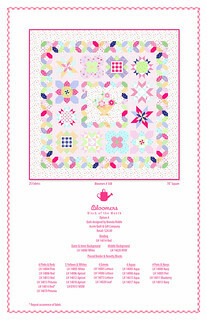 It's a block of the month program and we have two versions here, one with a pieced border and one with a solid border. Both totally cute. 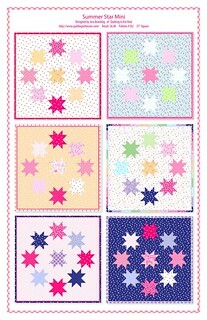 This page is is showing off 6 different versions of Jera's Summer Star Mini Quilt. 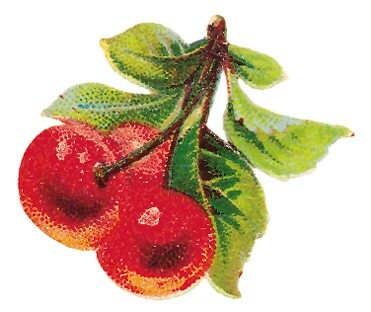 It's so cute and it looks like you could finish one in a day! 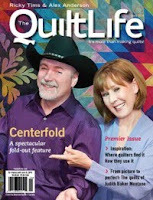 Jera has a new book coming out later this year, Quilt As You Go Made Modern. You can catch up with Jera on her blog Quilting in the Rain. 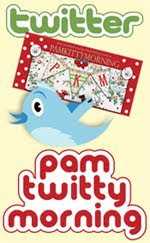 Allison's new Morning Glory pattern just seemed like it was perfect for Pam Kitty Garden. We're showing two versions of it here. 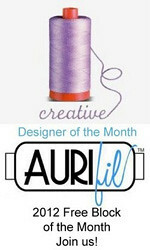 Allison is at market right now showing off her new line of fabric Oh Clemantine and all her new patterns. Because we won't have fabric until later in the year, it's great to see digital versions of projects, just like you'd see actual quilts in a booth. Thanks to Brenda, Jera and Allison for allowing us to use their patterns in our booklet! I'll have more projects to share next week. Happy weekend! 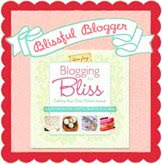 Thank you for this sneek peek. 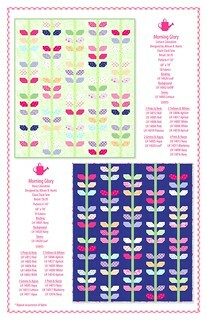 All the patterns (& Sew Along) look really fun to make! Where do I order that BOM pattern? So much inspiration! Thank you for posting all of the previews! I love all of them, of course! Your new line is so cute. I have already placed my order and can not wait for it to come. 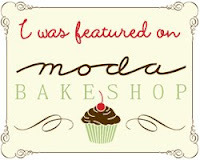 It was SOOOO fun to see your new line at market -- Just Beautiful and my favorite line yet! I love the soft, pretty aquas. 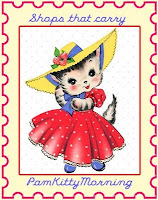 And, as always, you have the sweetest touch with little "old-fashioned" prints. Another winner PKM!! !